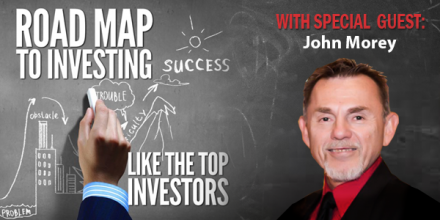 In this week’s Real Estate Success Podcast episode, your host Jim Ingersoll talks to special guest, John Morey, about finding financial success as a real estate investor and landlord. What happened the day John was asked to leave his 20 year career as an Electrical Engineer; what he did first may shock you! Details Please! How John recently put 5 houses under contract in 5 weeks. John Morey is a recovering Electrical Engineer. Last May he was politely asked to leave his cozy corporate America job in the Aerospace Industry. He quickly hugged his wife and went to work making offers on real estate. He learned to find his own off-market deals and create permanent cash flow as a Landlord to replace the income he lost from his Engineering job. He has since invested in himself and learned many creative real estate investing strategies direct with motivated sellers for both flips and rentals.